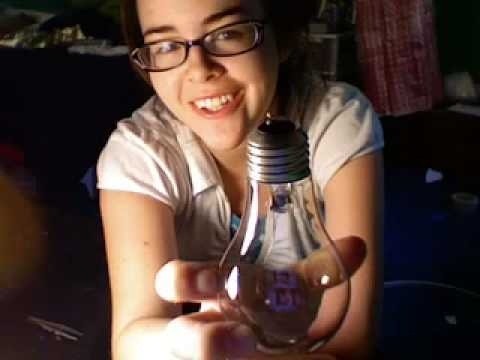 In this video, we learn how to make a light bulb vase using any old light bulb. This is great for helping recycle old light bulbs to turn them into something beautiful! To start, you will remove the top of the light bulb with your tweezers and throw it away. After this, you will break the glass from the base, so you have somewhere to stick the flowers into. After this, discard any of the glass that comes out and then you can push the metal up on the bulb. Fill this up and then put it in something at the bottom to make it stand up still and you're finished!